I think that is really neat. I found the video to be very informative. It would be neat if they had an eight foot trailer. I would like something even smaller. 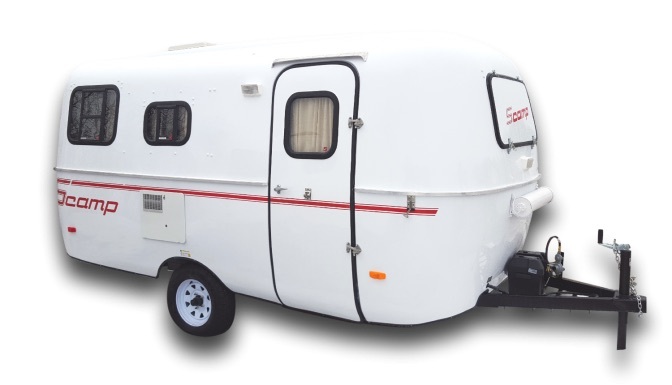 I am curious, if Scamp is one of the four for your “Mount Rushmore of Small Trailers”, what are the other three? I was hoping no one would ask that! There are so many small trailers…past and present…that would be deserving of a spot. You’d have to think about Shasta, Serro Scotty, Airstream Bambi to name a few. I guess I’d need to come up with some better defined criteria to apply the choices to. Might make a good blog post one day! As always, love articles from Small Trailer Enthusiast, but I am particularly fond of fiberglass trailers. We almost bought a new to us Scamp in October, 2015, but could not get to it fast enough. However, we bought an ’05 Casita 17′ Freedom Deluxe in Novmeber, 2015. Looking forward to camping in 2016! Just did some driveway camping and a trip to the local KOA. Will go to the Smokies in April and have trips planned through June. Thanks Dean! And congrats on the Casita. If you find your way through Indiana this camping season, give me a ring!